Word Crossy is an entertaining word puzzle game with a combination of word search and crossword style game. Swipe across letters to complete a word and fill up the crossword puzzle. November 30, 2017: Updated answers for all levels and added new world Hope. 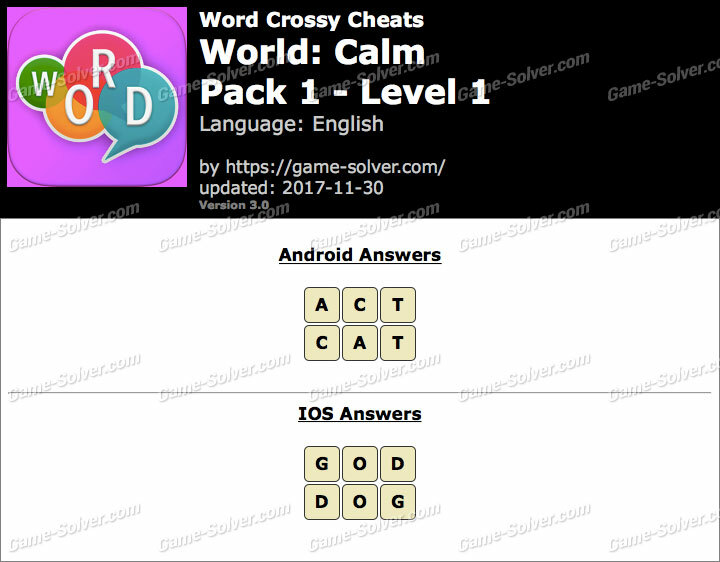 These are the Answers for Word Crossy Calm Pack 1 Level 1 with Cheats, Solutions for iPhone, iPad, iPod Touch, Android, Kindle, and other devices with screenshots for you to solve the levels easier. This game is developed by gu yunhe.